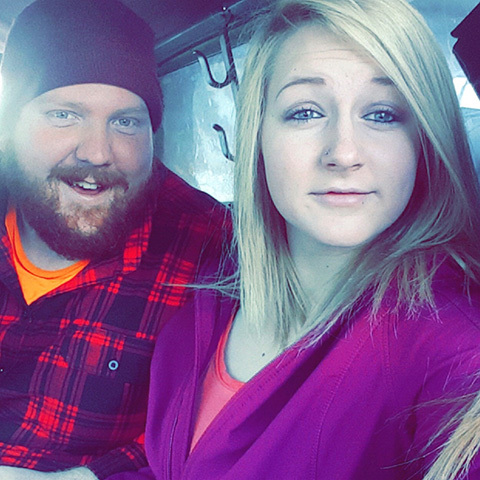 KayLynne’s brother Joe was five months’ sober and on his way to Texas for a new job. He had stopped home in Culdesac, Idaho, for a quick visit before he flew out to start a new life in the Lone Star State. Joe went out that Friday night, the night before his flight, but never made it home. He died from a drug overdose. Unfortunately, Joe had started using heroin about a year earlier while working in Lewiston. “His friend introduced him to it, and he wanted to fit in—everyone else at the shop [where he worked] was doing it,” KayLynne said. Once the family realized Joe had a substance abuse issue, they encouraged him to move to Twin Falls to live with his dad, away from his friends who were using. After about five months of being sober, Joe found the Texas opportunity. “He was so happy with where he was in life because he had his future ahead of him,” KayLynne remembers. She was sleeping over at a girlfriend’s house when she received a call from her mom to come home that Friday night. KayLynne’s family copes with the loss of Joe by finding ways to celebrate his life, like sharing memories around a bonfire—one of his favorite pastimes—on his birthday. But KayLynne wanted to do more, to do something that would make him proud of her. The idea hit her as she was struggling to decide on a topic for her senior project: She would honor Joe and prevent others from experiencing his struggle by conducting a substance abuse prevention campaign for local students. “When I got home to tell my mom that I was doing my senior project for Joe, she was so proud,” KayLynne recalls. She dove in, developing prevention activities to share with all Culdesac students, from elementary to high school. At her school, she hosted an assembly during Red Ribbon Week. She gave a presentation and coordinated a speaker, Lewis County Sheriff Jason Davis, to educate her peers about the effects of drugs like marijuana, meth, heroin, and prescription painkillers. 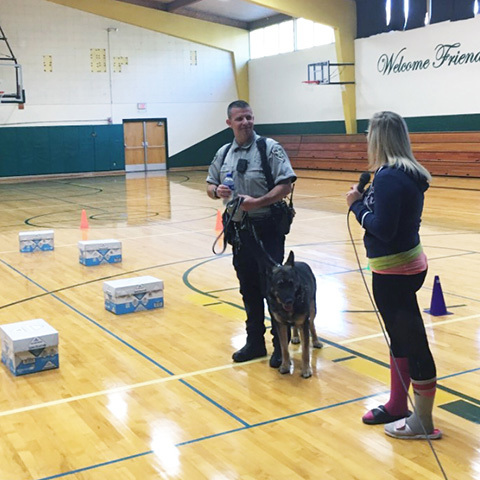 Davis, a K9 officer, demonstrated how his canine partner found drugs. KayLynne also took on the responsibility of all other Red Ribbon Week events. She and fellow students decorated every school door and the hallways with drug-prevention messaging and decorations. “I put a lot of time and effort into this,” she says. “It took me about two weeks—there was a lot of behind-the-scenes work.” She also coordinated a drug-prevention art contest at the elementary school, with a donut party for the winning class. KayLynne would love to continue to spread her message. “I want to help other people, to bring awareness about the dangers of drugs.” She thinks about starting a prevention group in Culdesac or at college, where she’s headed this fall to study business management and marketing. For now, KayLynne is focused on her upcoming senior prom and graduation—and then she’ll figure out how to move forward and continue to make Joe proud.